This morning's red post collection includes a look at the upcoming /REMAKE feature, the start of the League Client Update Alpha for live servers, Tier 2 runes being permanently discounted to 1 IP, Meddler on the PBE Trinity Force & Wit's End changes, Tristana and Trundle bundles & legacy skins in shop for a limited time, Draven and Singed price reduction with Taliyah's release, and more! 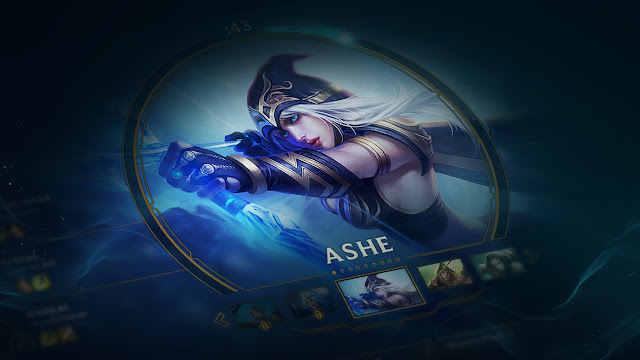 /REMAKE, a new feature that will let players vote to end a 4v5 game early without penalty, is headed to the PBE and will be live testing on NA for in 6.11 with other regions soon after! /Remake rolls out for testing in NA during patch 6.11 and a global launch shouldn’t be far behind. Check out the FAQ below and hit us with any questions in the comments!" What queues will /remake be available in? All normal and ranked Summoner’s Rift and Twisted Treeline queues, sans-bot matches. When exactly can I start a /remake vote? Only when prompted. This will occur once a game, at the three minute mark of an eligible game. So, my team just started a /remake vote. I stopped playing to vote, and I died. What happens? Once the vote starts, it will resolve regardless of kills. So, you’re good. Okay, what exactly happens after a /remake vote is successful? The game ends. All players go to the end-game lobby. The dc’d player is Leaver Busted and incurs a loss. All other players face no consequences, basically pretending the game didn’t happen, and can requeue whenever. Are 4v5’s really that common? They’re not, but when 4v5s do happen, they feel awful. So even if they’re pretty when compared with the past, we felt like the pain was worth solving for. What if a player dc’s after the three minute mark? After the three minute mark, the game’s considered a game of record and /remake will not be an option. This shields the integrity of individual games, ranked queues, and W/L records. I totally read the whole article, and I know it says “first blood”, but do executions prevent a /remake vote? Executions will not stop a /remake, only a PvP kill will. Do the extra rules around Diamond players and premades affect normal games or just ranked? Just ranked. If you’re Diamond and in a premade with the dc’d player in a Normal game, you can /remake with no consequences. I’m a Plat player in a premade with a Diamond player who dc’s. If I vote to /remake, will I lose LP? No, only Diamond players in a premade with the dc’d player incur losses from remade games. I’m a Diamond player in a premade with a Plat player who dc’s. If I vote to /remake, will I lose LP? Yes. Diamond players in a premade with the dc’d player will incur a loss from the remade game. Diamond players not in a premade with the dc’d players will not take a loss. If I’m dc’d player, or affected by the Diamond rules of a remade game, do I lose a little LP or a lot? Imagine the game played out and your team lost, that’s how much LP you stand to lose. Why test /remake in NA? With a brand new system, we’d prefer to keep live testing in the same language and time zone as the team building it. Test duration and location is a team-by-team decision, not a broad policy. Happily though, we’re aiming to ship /remake ‘round the world much sooner than later. 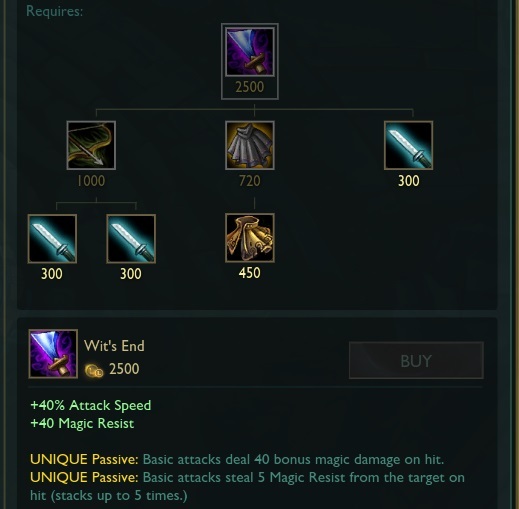 This new feature is is now on the PBE for testing! To go along with the recent Tristana and Trundle skin splash art updates, new bundles are now available in the shop through May 25th! In addition to being in the bundles, Firefighter Tristana, Earnest Elf Tristana, Guerilla Tristana, and Traditional Trundle are all available for individual purchase for a limited time! "Try not to trip out, but we're trotting out updated skin splashes for Tristana and Trundle TODAY. Trust us, it's true! And it's no trap. Trade 2245 RP for the Time to Troll Bundle (25% off) — or 2905 RP if you, tragically, don't own Trundle — to transform your Trundle skin treasury. Or transfer 5186 RP for the Buster Shot Bundle (5595 RP for Tristana-less travelers). Several treacherously trendy legacy skins are tramping back to the store for a week-long trial period. Transcend your style with Earnest Elf Tristana (520 RP), Firefighter Tristana (1820 RP), Guerilla Tristana (975 RP), and Traditional Trundle (975 RP). Don't be trifling. Treat yourself with these trivially-priced transactions, available through 5/25." Good news everyone! The League Client Update Alpha has started up on the live servers and invites are going out now! 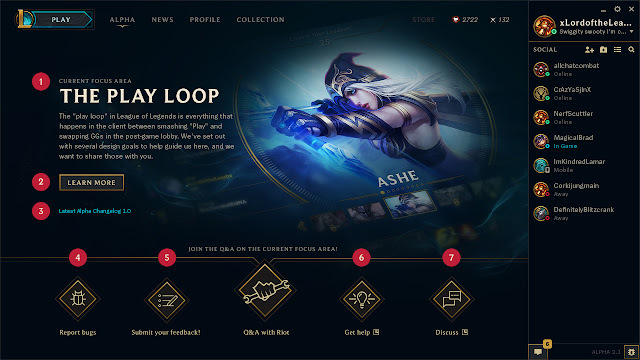 Should you get an invite, you download the new client, login, and try out a WIP of the brand new client - currently limited to SR and ARAM queues! "Today we're cracking open the door to the League client update alpha and letting in the first few testers. This is just the beginning, but there's more to come—even if you haven't yet received your alpha invite, you'll want to read on to learn about our plans for future releases, as well as details on how we'll handle and respond to tester feedback. Just a heads up: alpha testers will be flying in a plane that's still being put together. Expect turbulence (aka bugs). STILL WAITING ON YOUR INVITE? If you don't have access yet, you're in good company. As mentioned previously, not everyone who applies to the alpha is guaranteed a spot. We're starting out with just a few folks at first, but we'll scale up as quickly as we can while keeping things stable. Because the initial alpha release isn't super optimized just yet, we're excluding players with low-spec machines for now (we just don't want those people to have a bad time). Worry not: when this thing replaces the legacy client it will work on any computer that can currently run League. If you signed up for the alpha and have been approved, you should have already received an email as well as a notification in the legacy client. You can also check your account page where you previously opted-in to see your status. 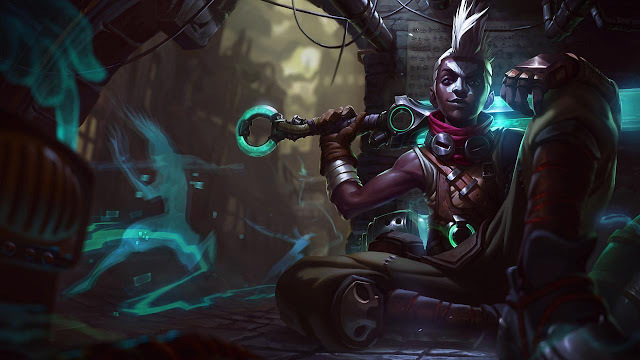 If you're approved, download and log into the alpha client to start giving feedback! As releases hit the PBE, we'll share devblogs that focus on the latest release and give context on the type of feedback we're looking for—like this one about the first set of alpha features. When the updates hit the alpha, we'll ask you to focus your feedback on the part of the client we're currently working on (aka the current focus area), and roughly every two weeks we'll publish changelogs that cover detailed updates. Just like patch notes! As we prepare to move on to subsequent releases, we'll put out wrap-up articles to highlight the things we're learning and changing based on your feedback. Rinse, dry, repeat. The feedback and changes won't ever stop throughout this process, but we’ll be asking you to move your feedback focus whenever we put out the next release. All the blogs and changelogs that we publish will be available for everyone to read on the alpha website, even if you're not yet in the alpha, and we'll be engaging with people regularly on the alpha boards. In each release, we'll ask you to focus your attention and feedback to a particular area of the client: the current focus area. This is where we're focusing our development resources, and it's where we most need your assistance. Each release will be accompanied by a comprehensive dev blog from Rioters working on the League client update. We'll explain and explore the reasoning behind certain decisions before kicking it back to you and your thoughts on the direction we're heading. The changelog is your definitive source for understanding alpha updates—the alpha's very own patch notes. It's where we'll display the corpses of bugs we've conquered in combat and the place where we'll regularly highlight the things we're learning and changing based on your feedback. New changelogs will post every two weeks or so. This is the best tool for reporting specific, reproducible bugs you've encountered in the client. Stuff like "this button makes my client crash" or "every time I pick Teemo in champ select his laugh starts to loop endlessly" (that one would be pretty bad). Those who wield this tool well will save us much pain as we fight towards the beta. This is your main tool when reporting generalized feedback on the alpha. It's stuff like "I'm confused about how to get into a game" or "this font over here is super blurry and I think it might be Comic Sans." We'll also occasionally prompt you with surveys when we're looking to get your thoughts on something specific. We'll update this article with information on known issues and self-help options that you can try out if you're having trouble. The boards are the best place to discuss the alpha with Rioters and other players, but they won't be our main source for feedback resolution. Look to the other tools (especially the Submit Feedback button) for that. The boards are open to everyone, not just alpha participants. Check out the official alpha site for ongoing updates, and keep bearing with us if you haven't yet gotten your invite. We'll get to you as soon as we can! Even if you haven't yet received your invite, feel free to join in on the discussion on the boards." "We're hoping to be able to get everyone (sans negative players) into the alpha that signs up as we progress through the test, so there isn't a "not accepted" status"
"As we determine things are stable enough to let more on, we'll add more, and hopefully as often as possible." Sign up for the LCU Live Alpha here! "We've talked about our design values for the client update, which include clarifying decision-making, celebrating key moments, and unifying the experience. We’re now ready to open up the Summoner’s Rift (blind 5v5) and ARAM Play Loops as the alpha’s first current focus area. What feels cumbersome or clunky? Is on-screen information clearly presented and easily understood? Are the transitions between screens a consistent experience, or could they flow together better? Do you feel the clarity around decision making has improved? Do you feel that key moments (map select, champ select, etc.) are better celebrated? Remember! Alpha testers can use the tools found at the bottom of the alpha homepage in the client to give feedback, report bugs, and more. League client update alpha sign-ups now open"
Welcome to the League client update alpha, and our first changelog. Changelogs are your definitive source for understanding alpha updates—the alpha's very own patch notes. Here, we'll display the corpses of bugs we've conquered in combat and regularly highlight the things we're learning and changing based on your feedback. New changelogs will post every two weeks or so. To start, our initial alpha release will be focused on the Summoner’s Rift (5v5 - blind pick) and ARAM play loops—this includes all of the items listed below in the changelog. We’re gonna need your feedback, bug reports, more feedback, and a reminder of how to submit those can be found here. Make sure to stop by the alpha discussion board to chat with your fellow players about your thoughts—it’s also the place Rioters will be hanging out to chat with you and answer questions about the updated client. Thanks for joining us, and we’ll see you on the rift and frigid bridge. Engage! While we're in the process of putting out a new patch, and only during this time, changing your region in the dropdown on the login screen to one that has an older version of the client than a version you have patched to causes the client to crash and require a reinstall. SO WATCH FOR MAINTENANCE ANNOUNCEMENTS AND DON'T DO IT DURING THIS TIME! The login screen appears cut off when running at a resolution of 1152x864 and below. On rare occasion, the client will be unresponsive -- if you run into this, we need your help reporting it! Check out this support article for instructions on how to submit your logs. After they're submitted, restart your client to resolve the issue. Mastery Points do not appear highlighted for the tooltip information of "Points Eligibility" on the Summoner's Rift game type -- this is a visual/ display issue only. If your friend is in their own game lobby, they won't show up in your suggested friends to invite list. 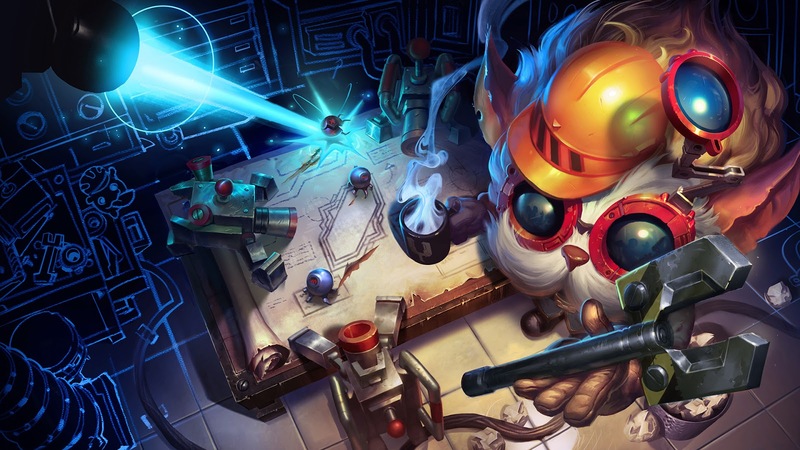 The Ready Check animation you experience is not in its final state -- the past version you may have seen in videos is back in Heimer's lab while we work on improving performance of it. There are a few splashes that display as a "?" while we work to get the correct version of the existing art in. If a player dodges champion select, you don't receive a notification of that being the reason you were sent back into the queue. On rare occasion, embedded chat may be missing from the end-of-game scoreboard. RIP GGWP. Promoting a member of your party to captain in the lobby of the second game in a game loop will result in the 'play again' button appearing clickable but not having any functionality. Clicking on the League client update’s pinned icon in the dock will not launch the application." Be sure to check back in on this page to see what is new with each LCU live Alpha update! 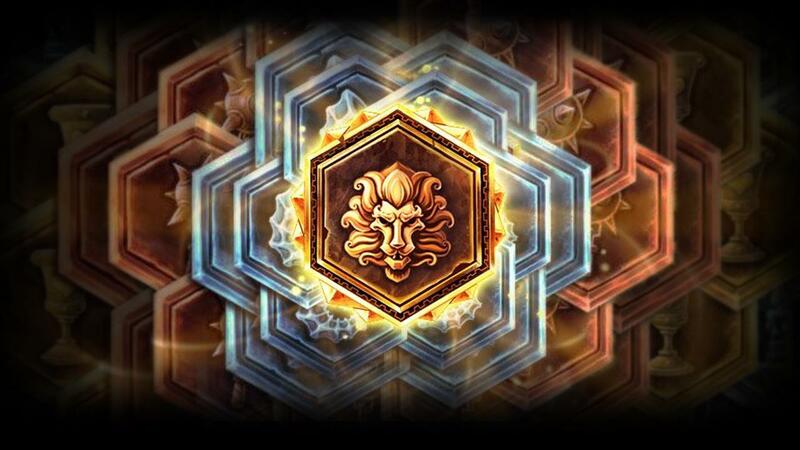 As previously announced, Tier 2 runes have had their price permanently reduced to 1 IP! "One month ago we said we’d be putting all tier 2 runes on permanent sale for 1 IP each* while also making them accessible to level 1 Summoners. … It’s been a month. Go check the store. You can also read the slightly fuller details of the sale here. *We can’t make these runes free because of the way our store is coded (and the League Client Update team isn’t taking a break just to update an old shop), but hopefully you’ll be able to afford the extravagance." WizardCrab also noted on reddit there would be a rune page sale next week! 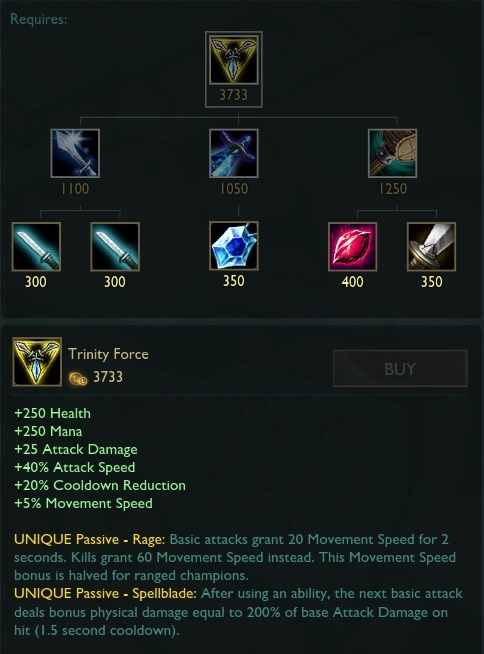 "The TF changes are somewhat experimental and are aimed at generally buffing the item for champions who use a moderately even mix of abilities and auto attacks but don't like crit as much (don't build IE or ER for example). The Wit's End changes by contrast are just a straight buff. It's underperforming, even on the champions it should be best on, so we're pretty confident we can add a bit of power to it. There's also a sub goal there, by using a Negatron Cloak in the recipe instead of a Null Magic Mantle, of allowing certain champs to go for a heavier MR item early if they need to without having to delay finishing an item as much." "Just fyi that we are looking at Zed for 6.11, been iterating internally, looking to have something on PBE tomorrow." "At the time we were looking to give him more play making ability since that's a thing that a lot of players identify him with. Unfortunately, through other itemization changes and such, that playmaking ability has just gotten easier kind of across the board of experience levels. I want to try and find a way to maintain Zed's ability to do the stuff he wants to, but you have to invest time into mastering him and "doing it right". I want to move away from any time you enter a game with Zed at ANY skill level you feel like they'll be able to just erase you from the game. The changes I have going out for tomorrow may appear drastic, but I'm still looking at heavy iteration for tomorrow, so they won't be final numbers. I'm trying to be really sensitive since I want to try my best to solve two problems. 1) I don't want Zed players to feel like they can't even play their champion anymore 2) I want the changes to lower the frustration players experience when playing against despite his power levels actually being within reason. Those two considerations compete with one another, and are proving to make this quite challenging, but please bear with me!" The EU and NA LCS Summer Splits start up soon, including the format changes announced last year! Check out the links below for updated schedules, team information, and more!